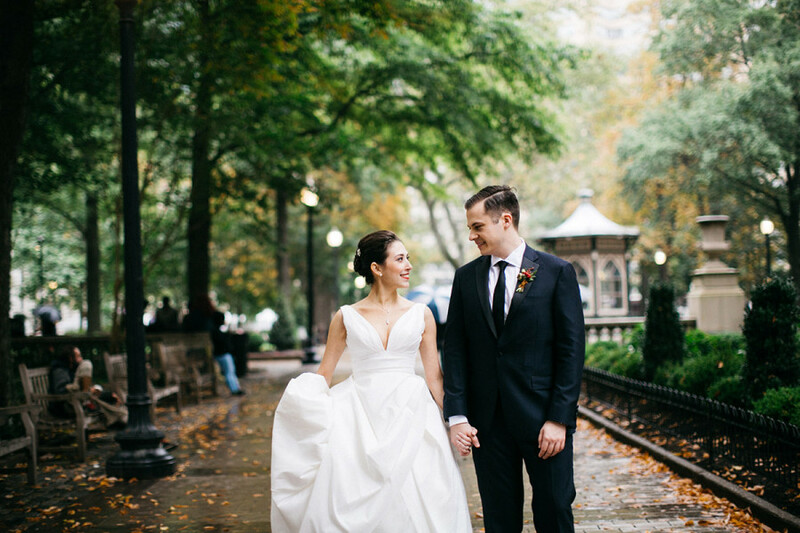 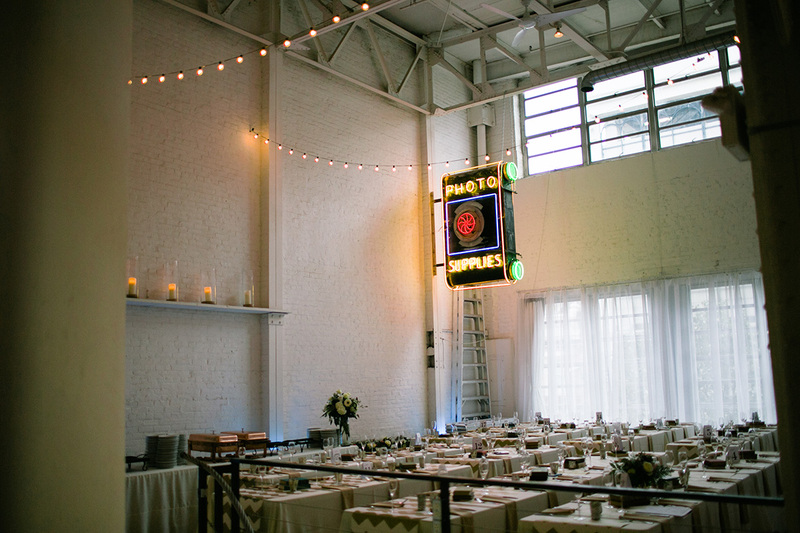 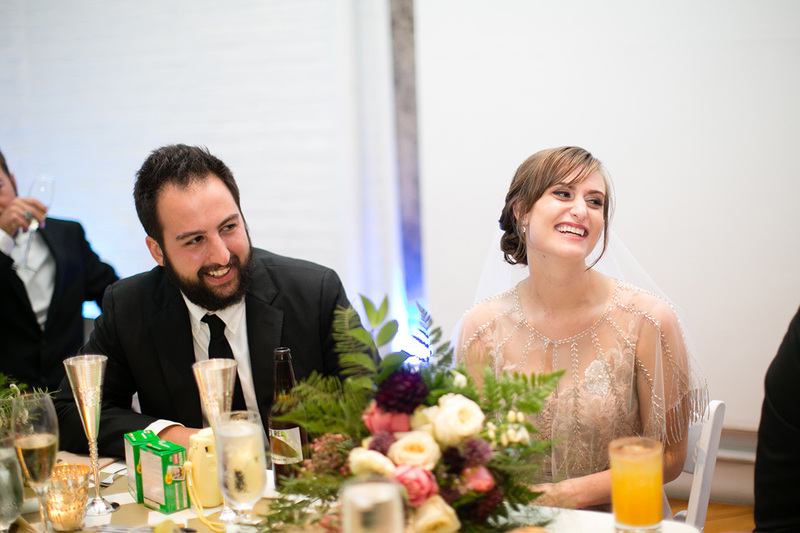 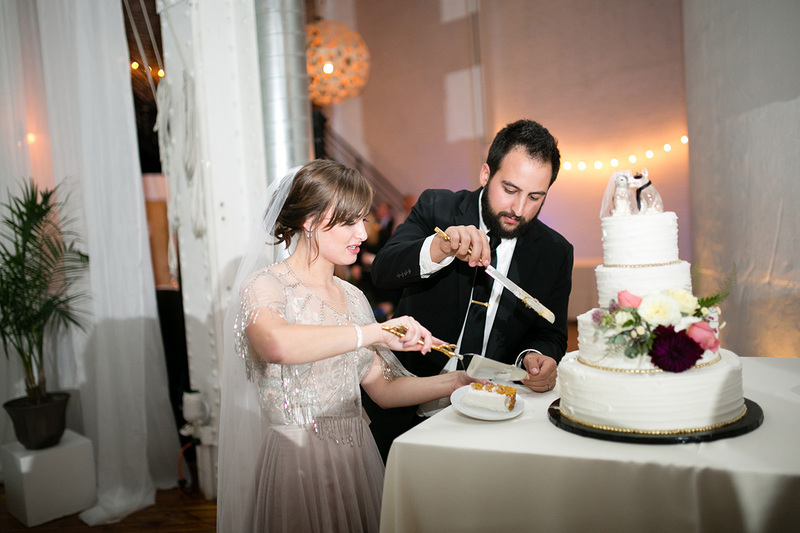 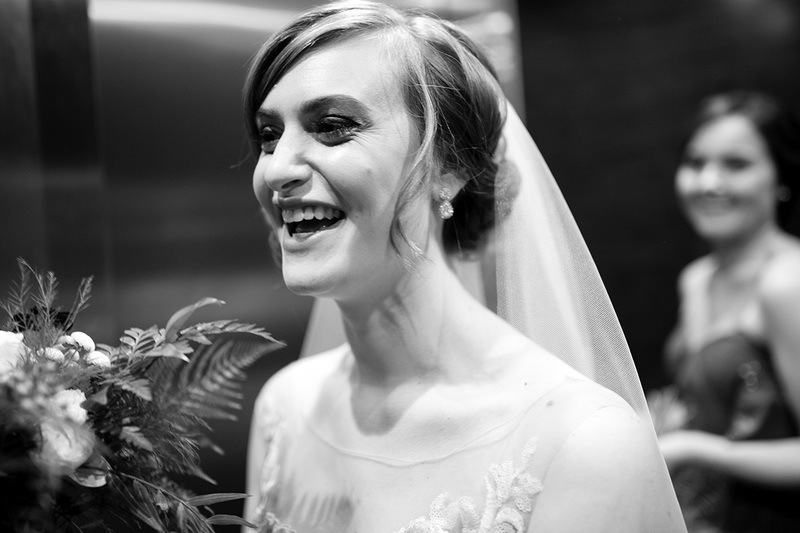 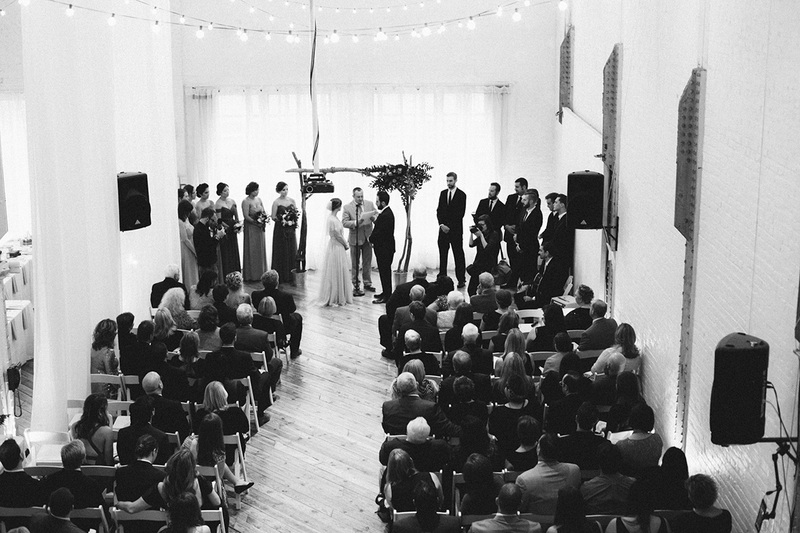 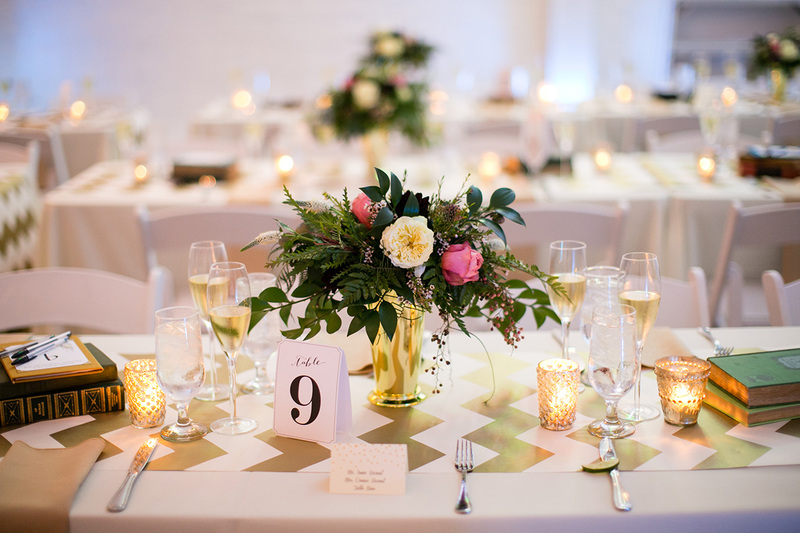 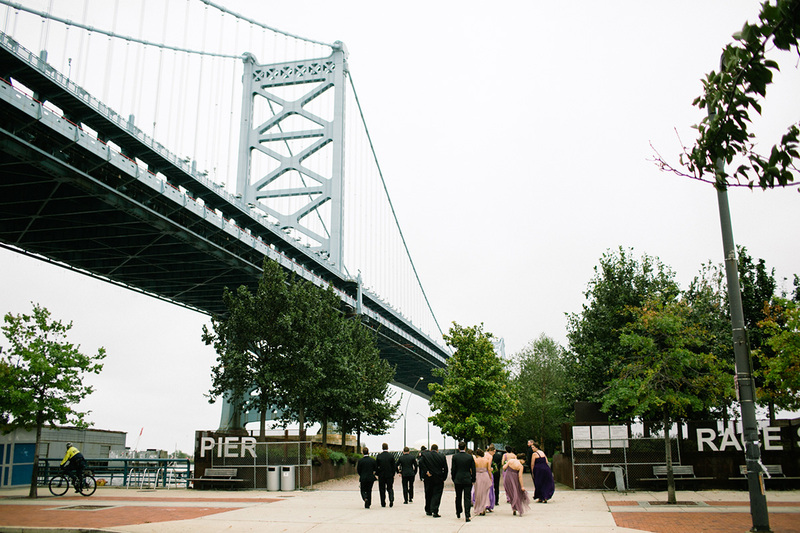 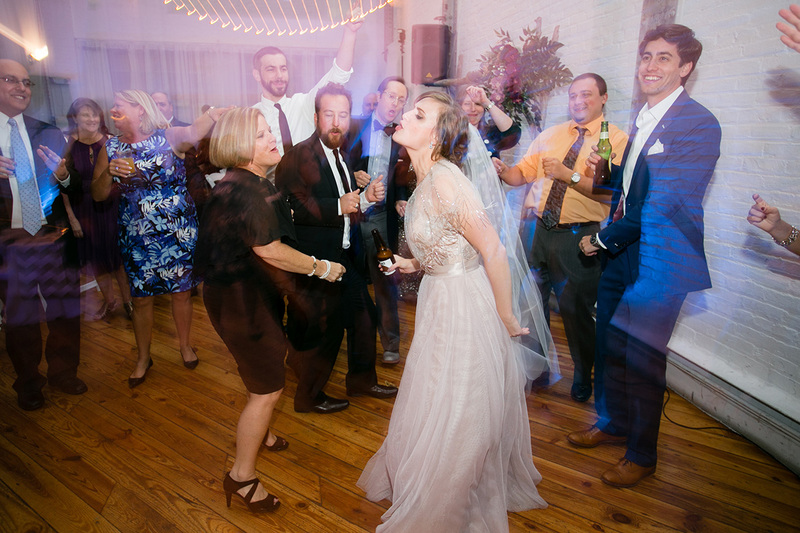 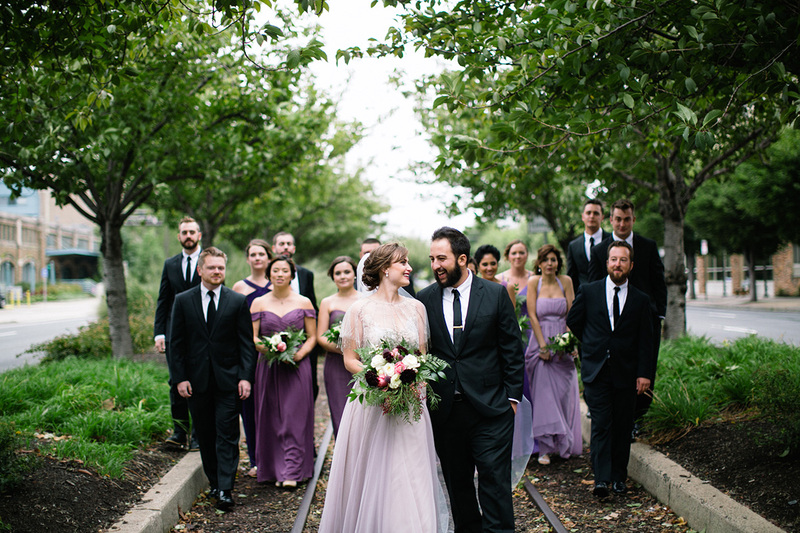 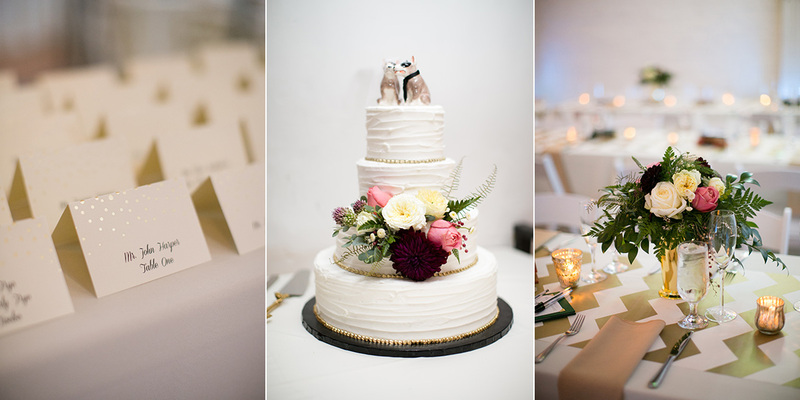 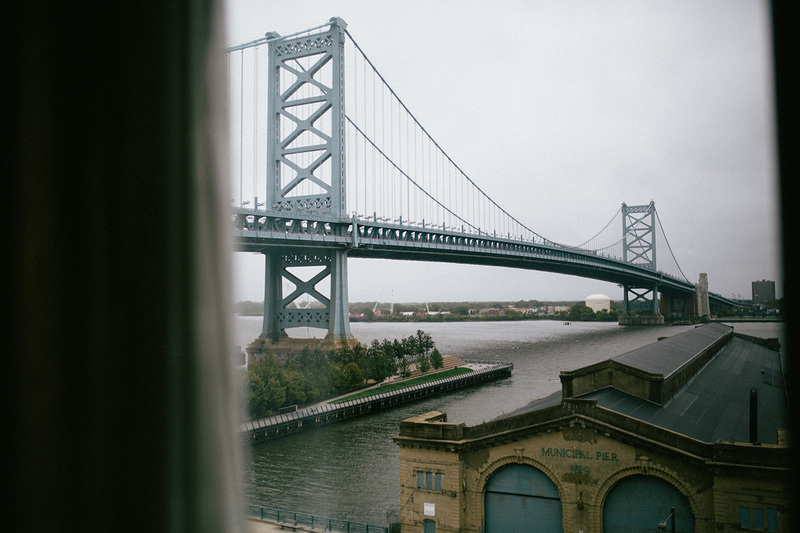 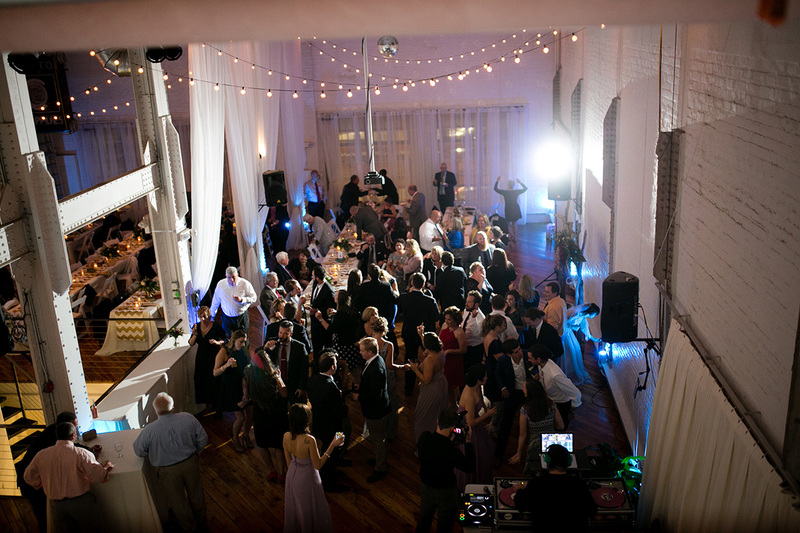 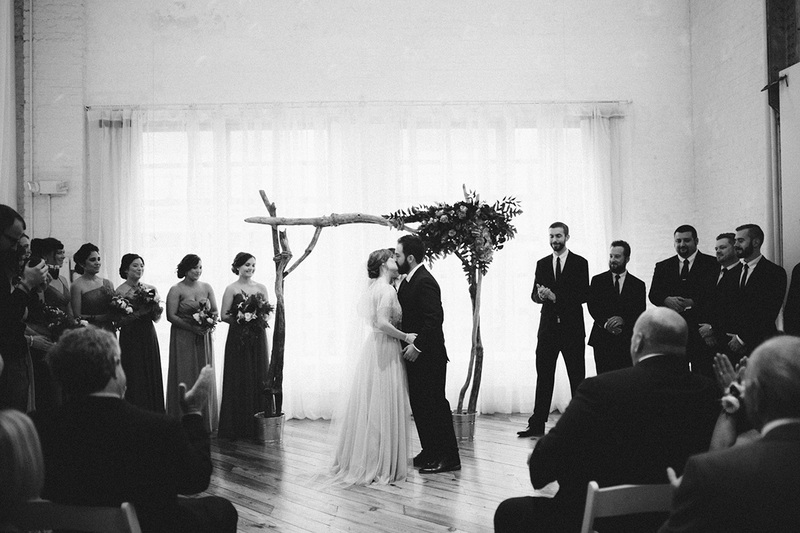 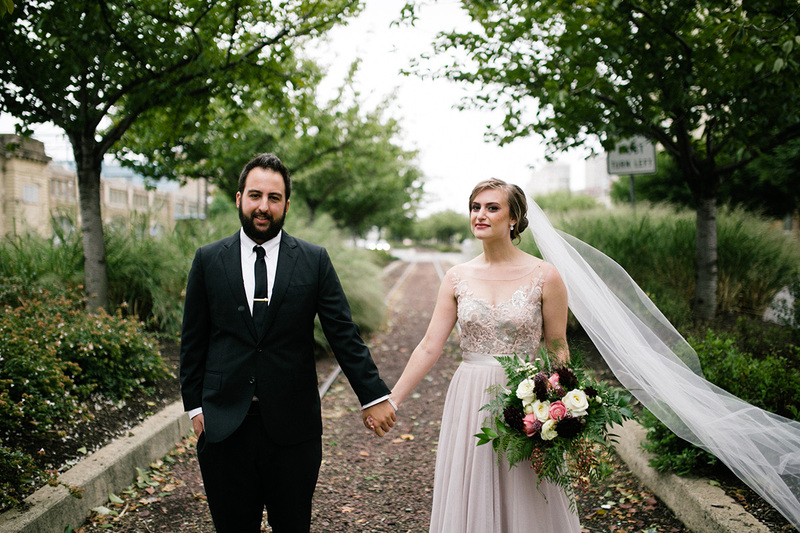 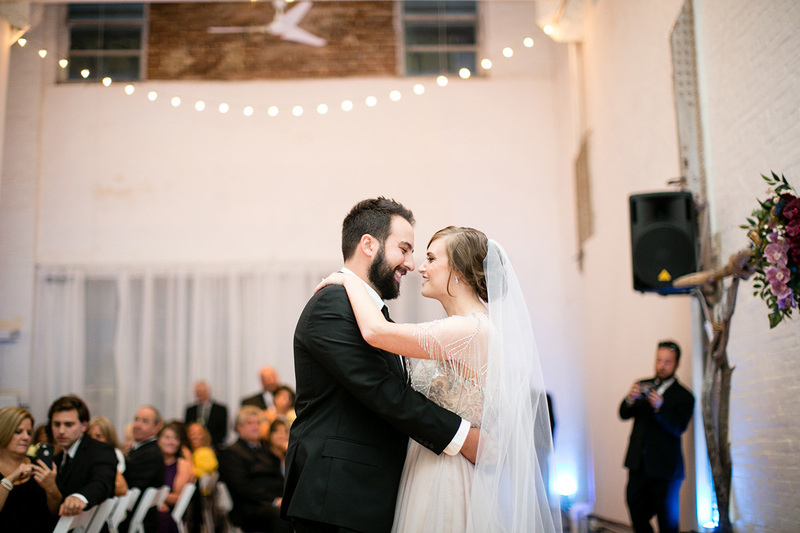 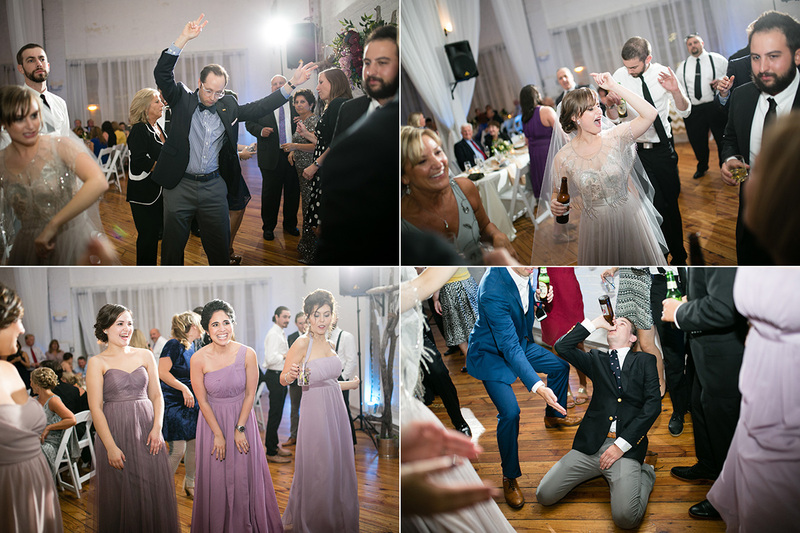 Sarah and Jason got married at one of my favorite urban Philadelphia venues, Power Plant Productions. 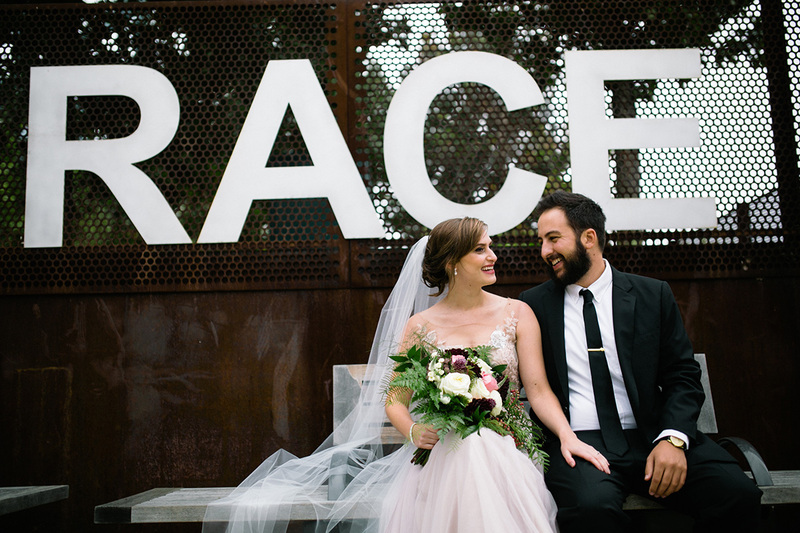 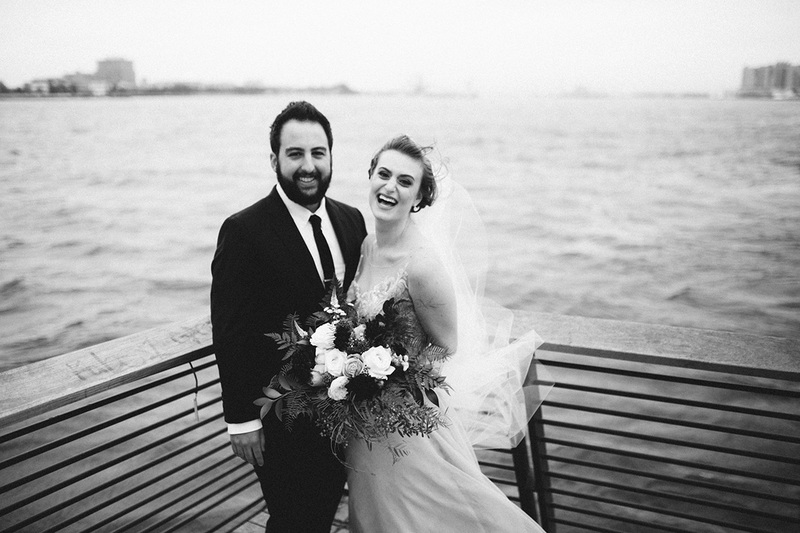 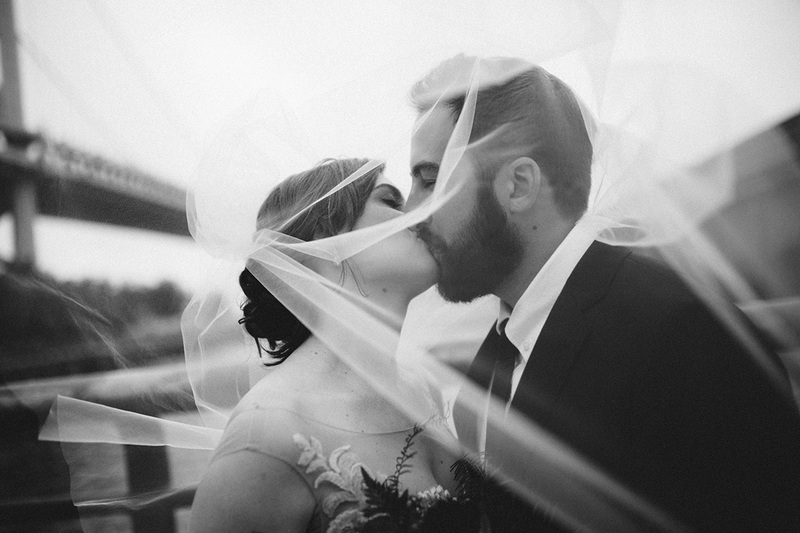 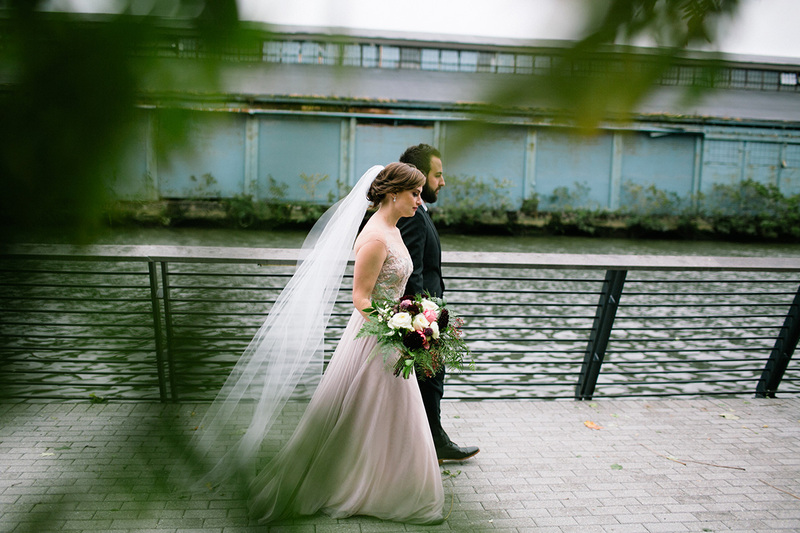 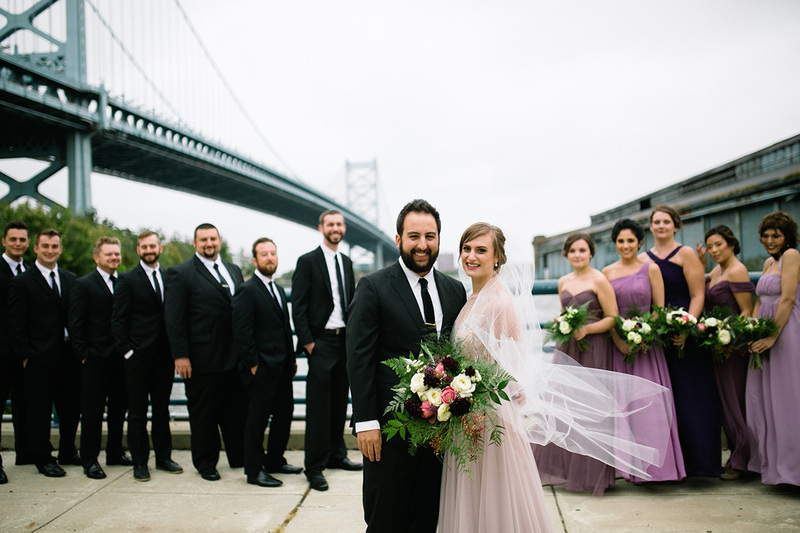 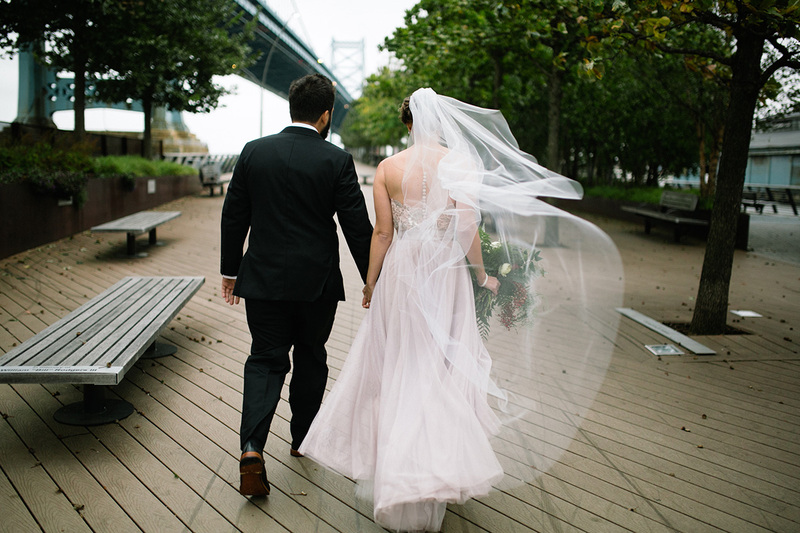 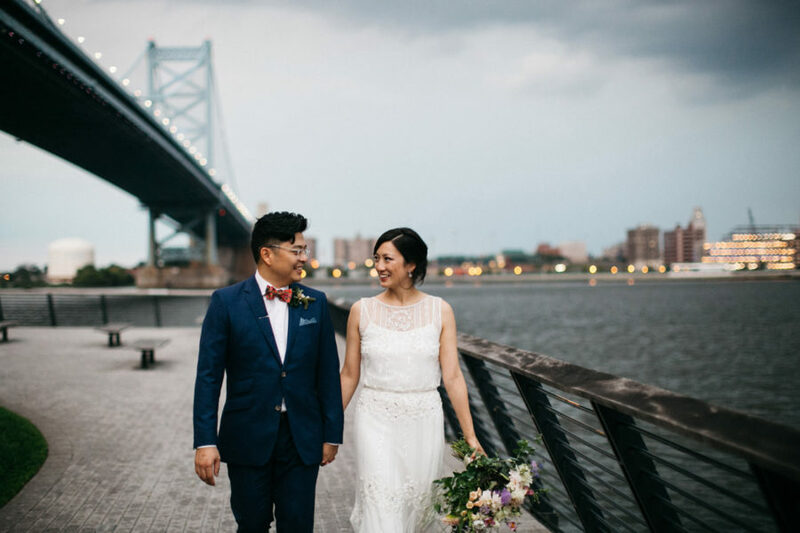 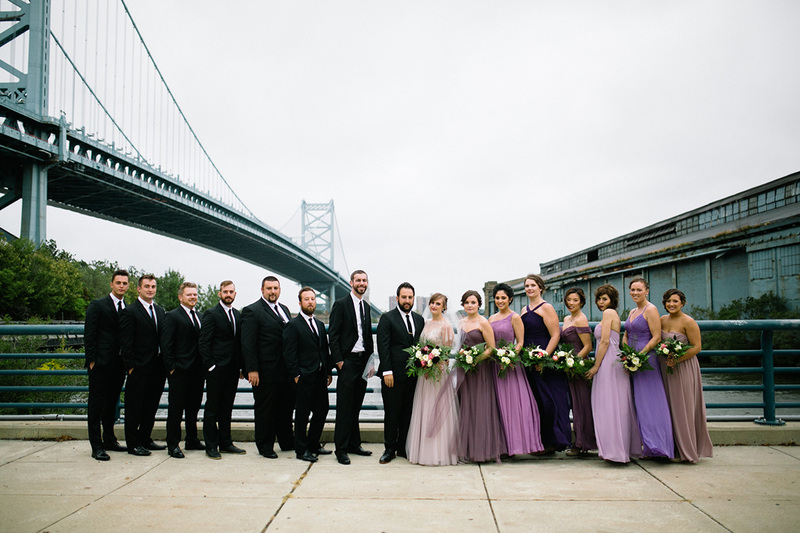 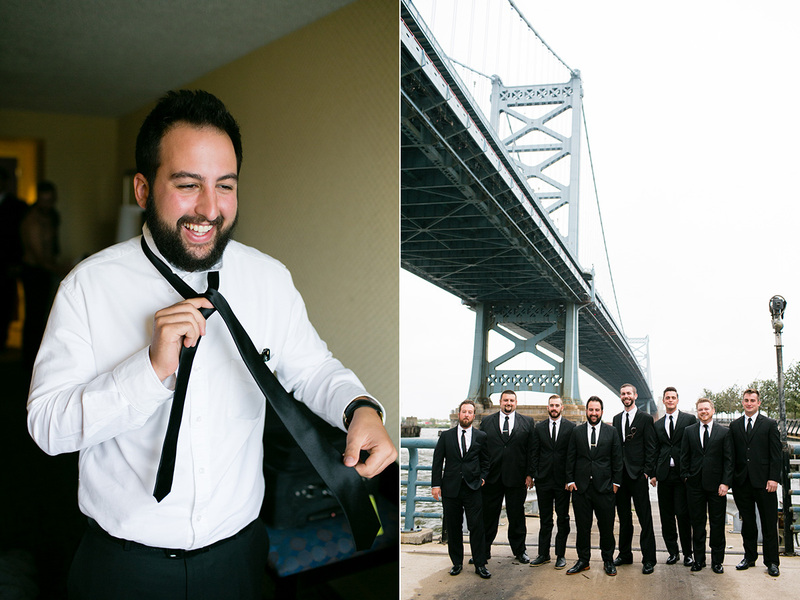 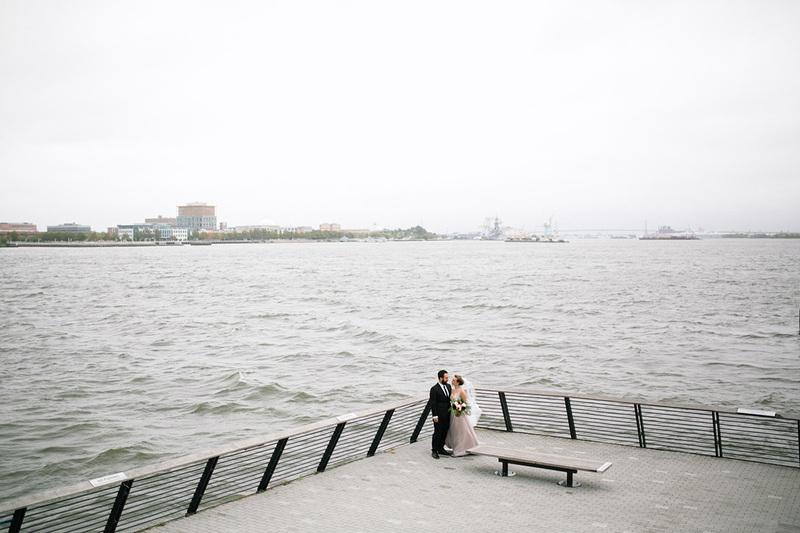 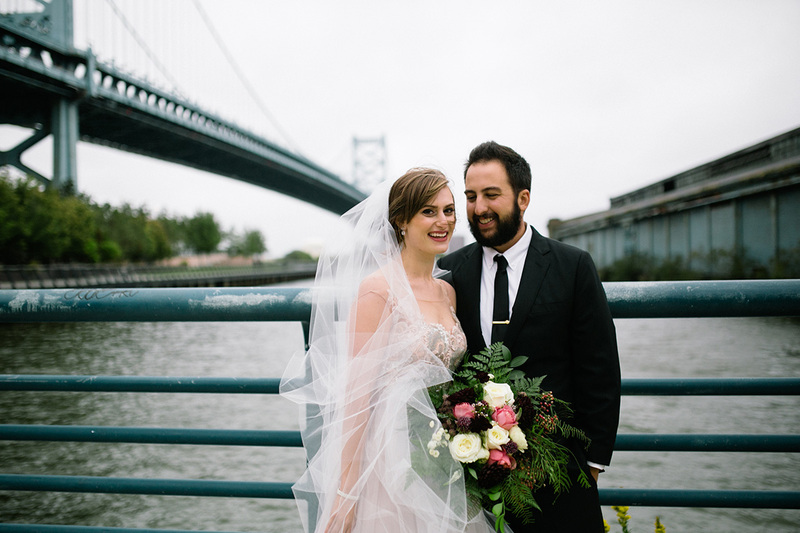 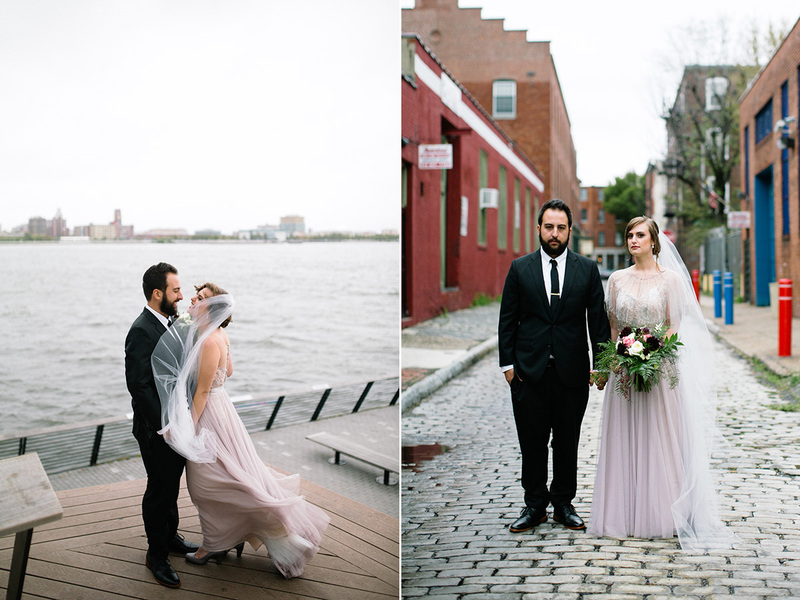 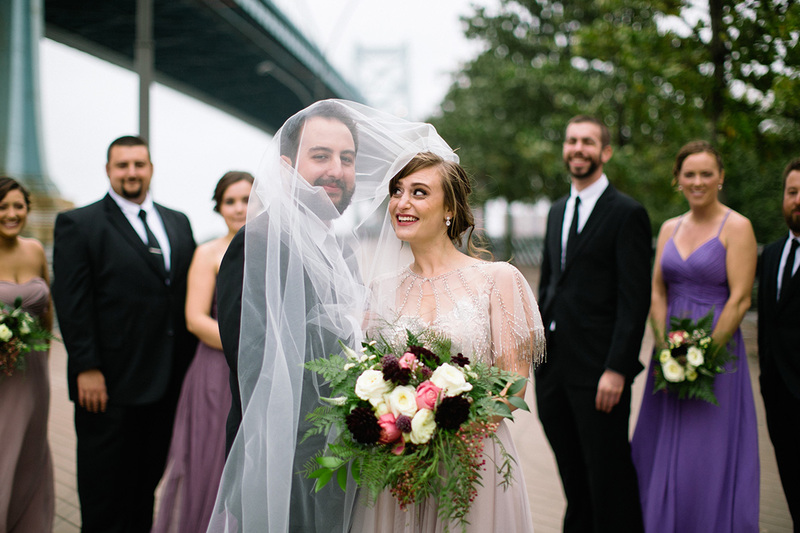 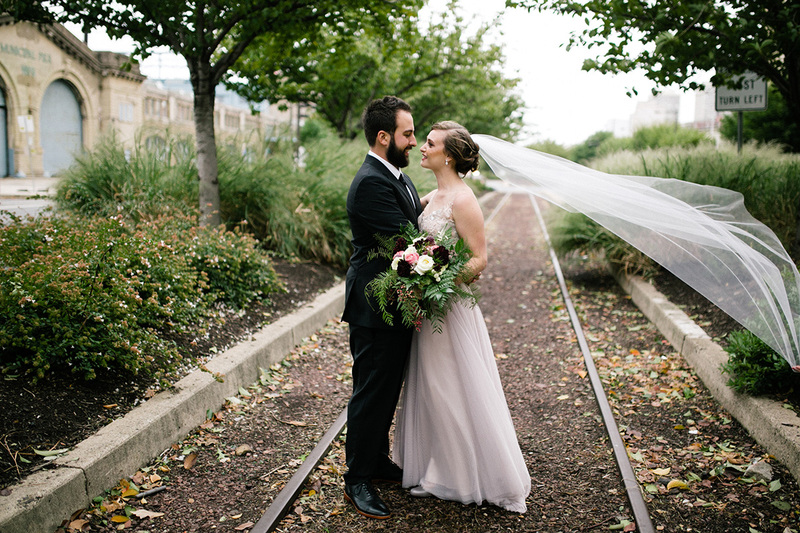 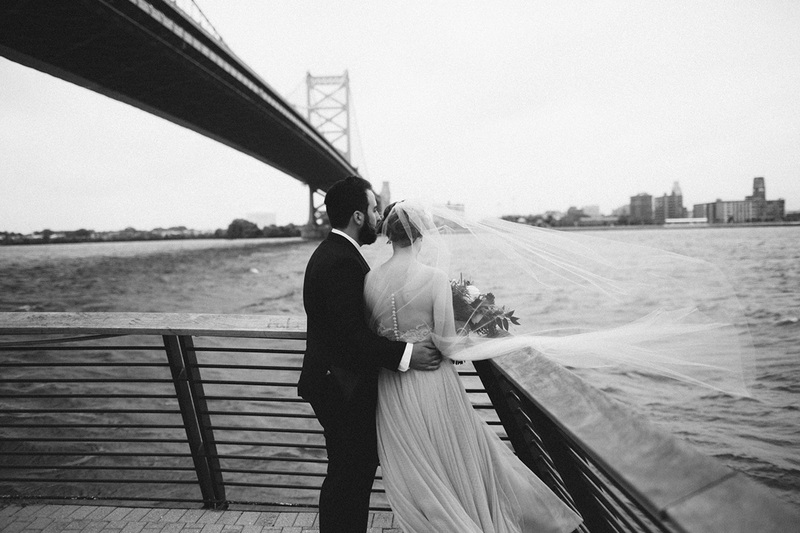 Their wedding day in early October was chilly and very windy, but they embraced it with the best attitude and we went on to explore Race St. Pier and Old City like we had planned. 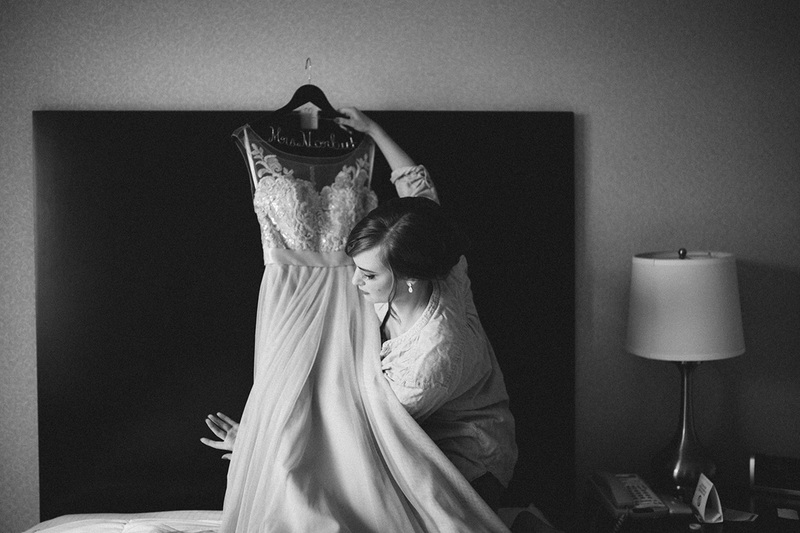 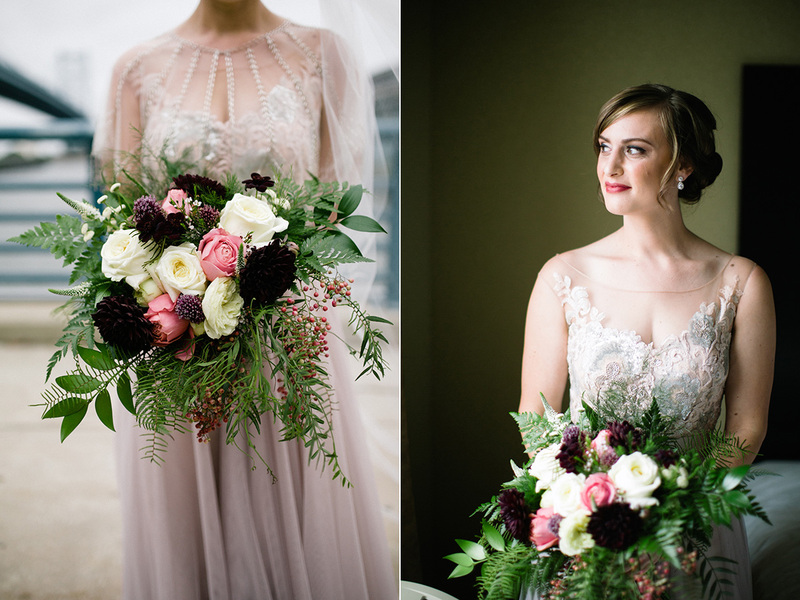 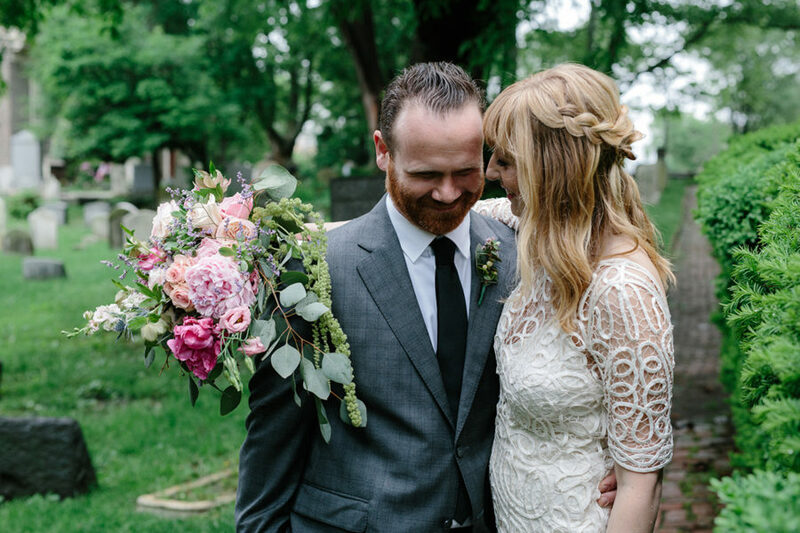 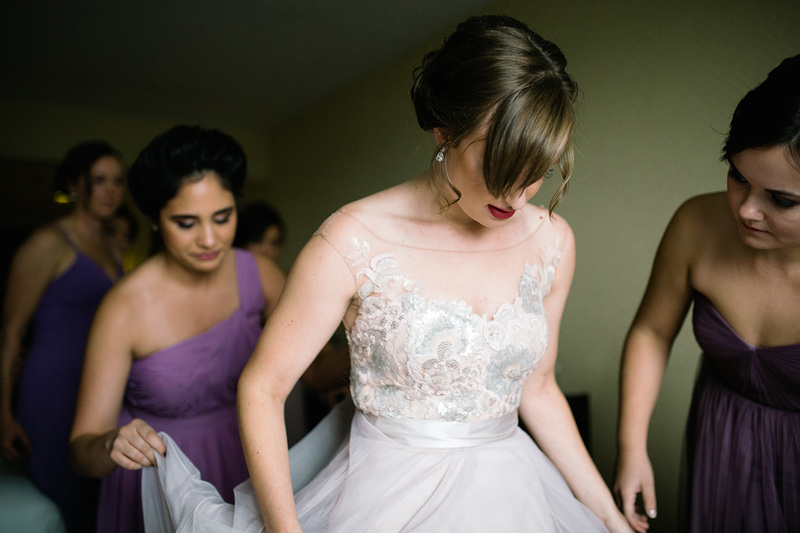 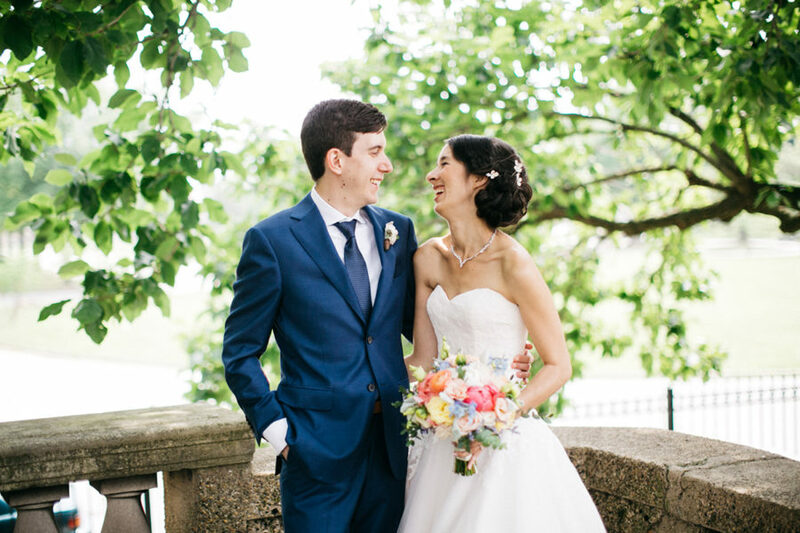 I absolutely loved Sarah’s BHLDN dress and lovely bouquet by Belovely Florals. 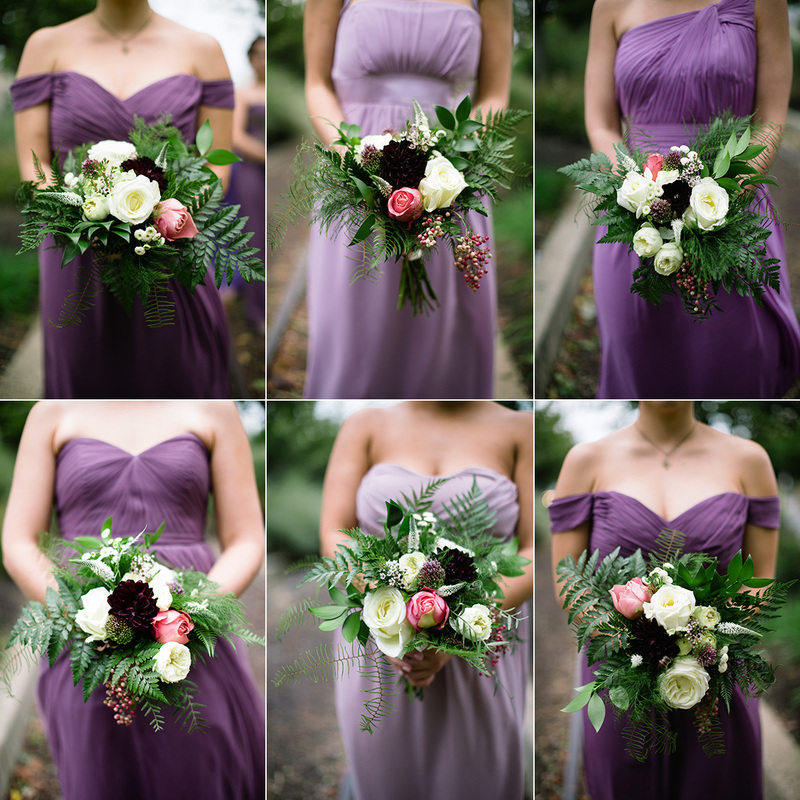 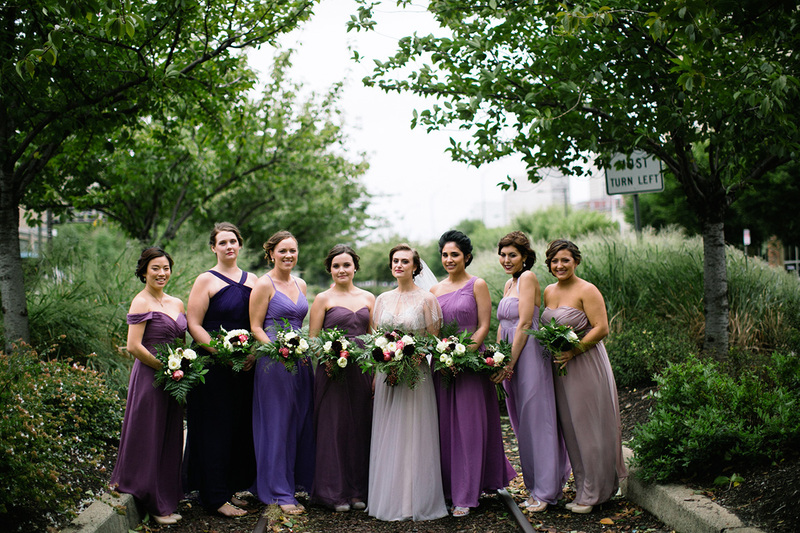 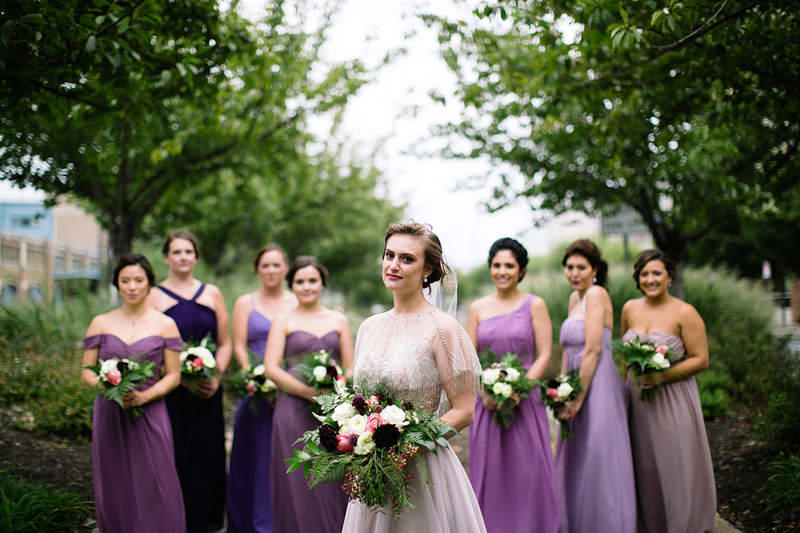 Sarah’s bridesmaids wore mismatched plum dresses that worked really well together. 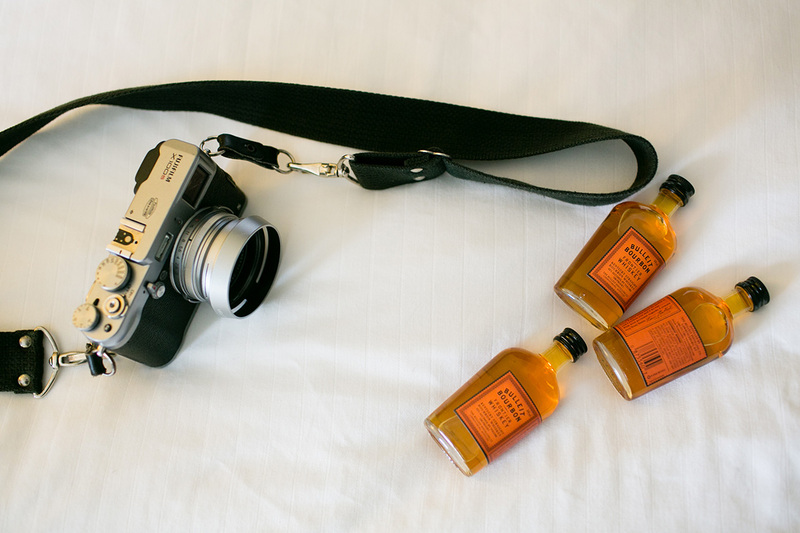 To warm up on a chilly afternoon, they had tiny bottles of Bulleit Bourbon with them, which I thought was awesome! 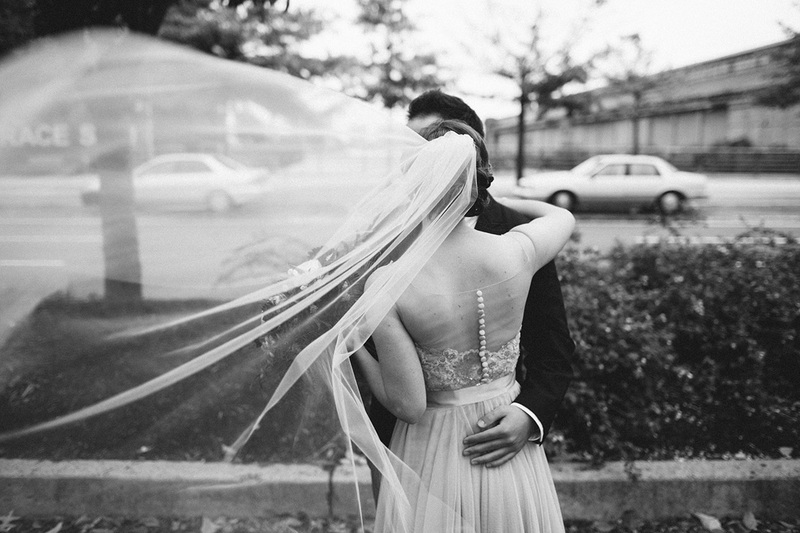 Also, long veil + wind is one of my favorite things in the world!!! 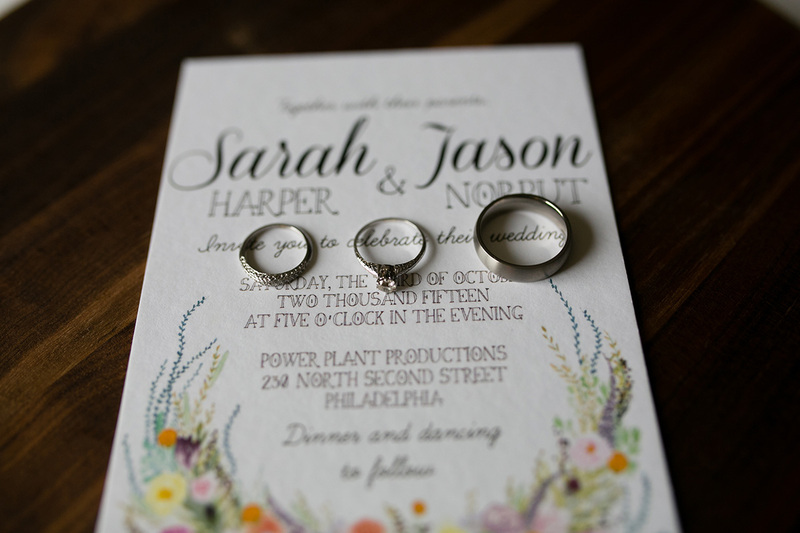 Congratulations Sarah and Jason!